Update: This contest deadline has passed, but we will doing this again for the Fall Futurity & Aged Event! Not too early to submit entries! If you are artfully inclined or can write, this is a great way to earn scholarships! Student writers and artists from Canyon County School districts are invited to submit their best works to be chosen for exhibition on the front cover of the March edition of the Gold Buckle Champion Community Publication. This is publication is distributed by the Press Tribune to all of it’s subscribers, Sunday March 16th. 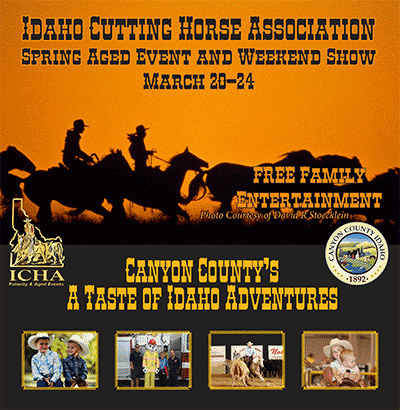 The 16 page tab contains stories and information about all the events that go on during the ICHA Futurity & Aged Event , March 19-23, 2014. Selected prose will be published in the same tableau. 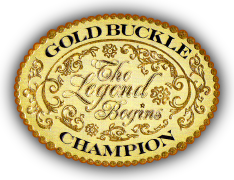 Gold Buckle Champion is a non-profit organization whose mission is to further the education of equine health and safety while preserving our western heritage and history by means of promoting equine events incorporating the youth and community. WHO MAY ENTER: Any middle school or high school student in Nampa, Caldwell and Kuna. WHAT MAY BE ENTERED Artwork: Provide color images of the artwork for jury purposes. Provide copies of any essay in an electronic format as well as a printed format Topic/subject matter: the art and/or prose (a written story, poetry, etc) is to depict Idaho’s Western heritage. Artists can submit 2D or 3D works in any medium. HOW MANY MAY BE ENTERED Artists are limited to 5 submissions. Winning entries will be displayed at Peterson Stampede Dodge in March prior to the Idaho Cutting Horse Association Futurity at the Idaho Horse Park in Nampa. Chosen winning artworks will also be auctioned off during the Futurity. Proceeds will be used for scholarship funds. Awards, in the form of scholarships/prizes, will be given to the top 3 winning art selections and top 3 prose selections.